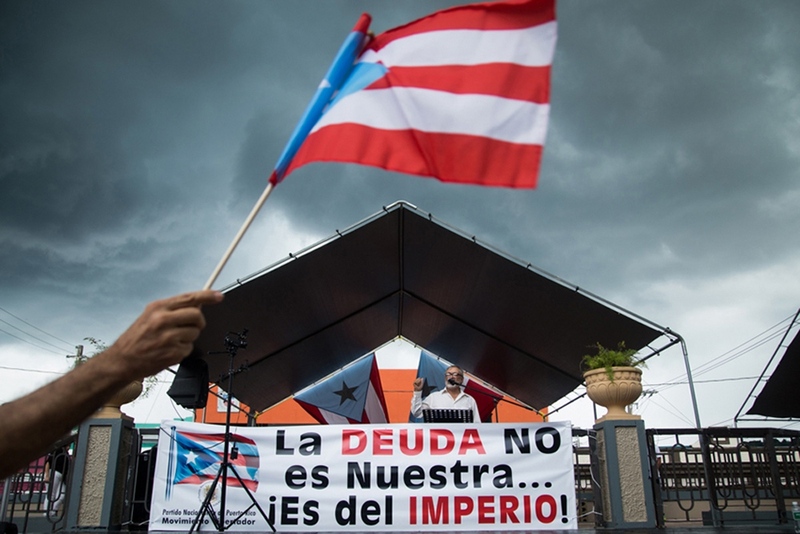 "The Debt Is Not Ours"
A few weeks before I landed in Puerto Rico to stay indefinitely, the governor, Alejandro García Padilla, announced the island could not pay its 72 billion dollars of debt. Following that, the government went on default. With the release of the Anne Krueger Report the economic formula to pay back the bondholders included a bundle of austerity measures that, according to some, could create a humanitarian crisis in the island. Now, with a hike in the sales tax from 7.5 to 12.5 percent, and the cost of living expected to continue rising Puerto Ricans in the island are barely managing. A sense of despair could be felt from the moment I stepped out of the plane. Different groups have used events, or taken to the streets, to denounce the new, and proposed, economic measures by the government. I have joined the walks, protest and events looking to document the face of a Puerto Rico that is fighting to hold on. 1. Julio Muriente, co president of the MINH, Hostosian National Independence Movement, speaks at the 147 commemoration of the 'Grito de Lares,' a 1868 event where a group of Puerto Ricans took hold of the town of Lares and declared the independent Republic of Puerto Rico. The Spanish military took back the control within a day. The banner reads: "The debt is not ours... Is from the Empire!" 2. Members from the Federation of Teachers of P.R. 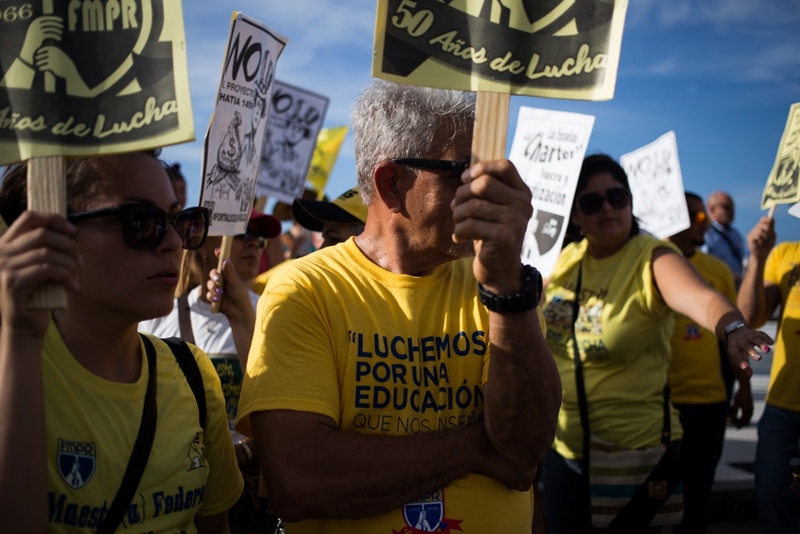 stand in front of the Capitol during a protest against a proposed plan for the education system that could allegedly lead the privatization of the public schools in the island. Erika P. Rodríguez | Photographer NEWS "The Debt Is Not Ours"